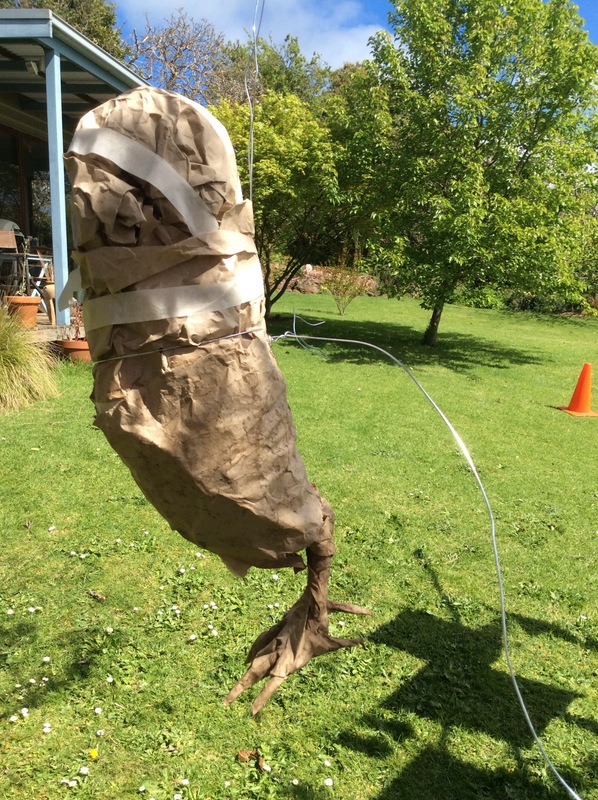 Mr Owl (as yet un-named) progresses on this sunny spring afternoon, our last day in Camperdown. Our lack of method is throwing up a few issues that will need to be addressed and at the moment the head looks too tall. But when he’s a little less soggy, we will be able to remedy that. 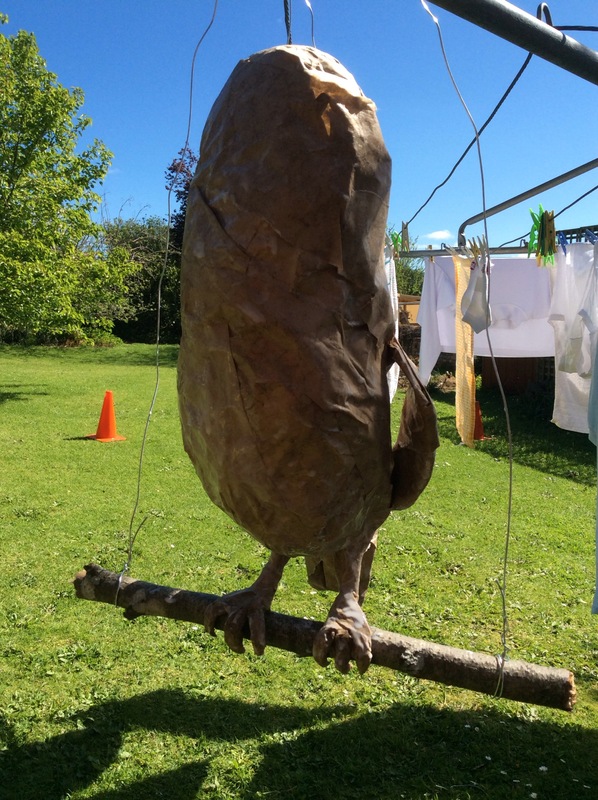 Mr Owl hanging from the clothes line, with some serious surgery about to begin. 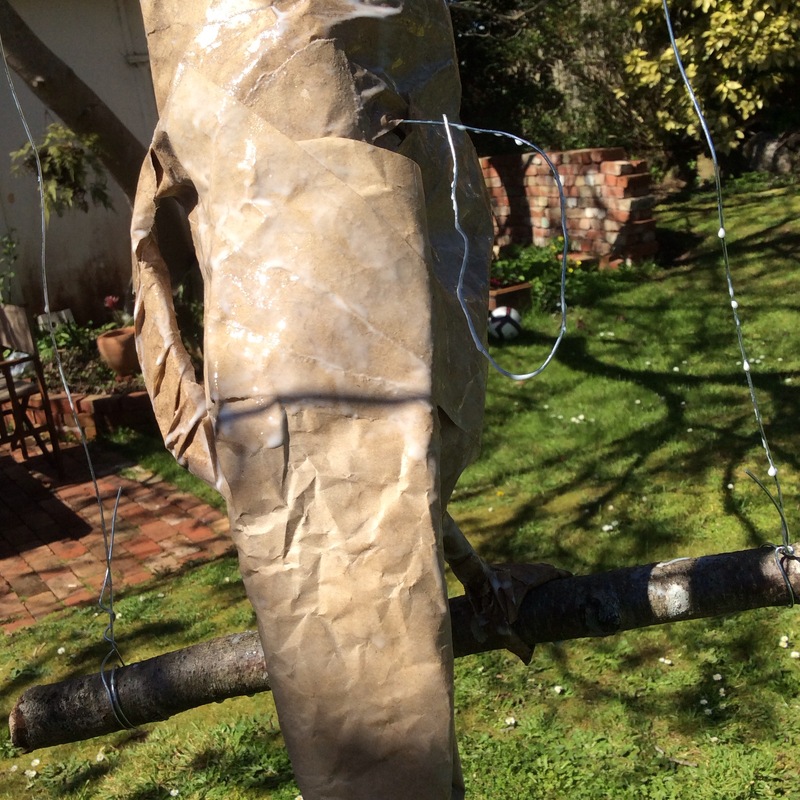 Some wire (which I could not get to go through his paper middle – not surprisingly) is tied around him to form the basis of his wings. 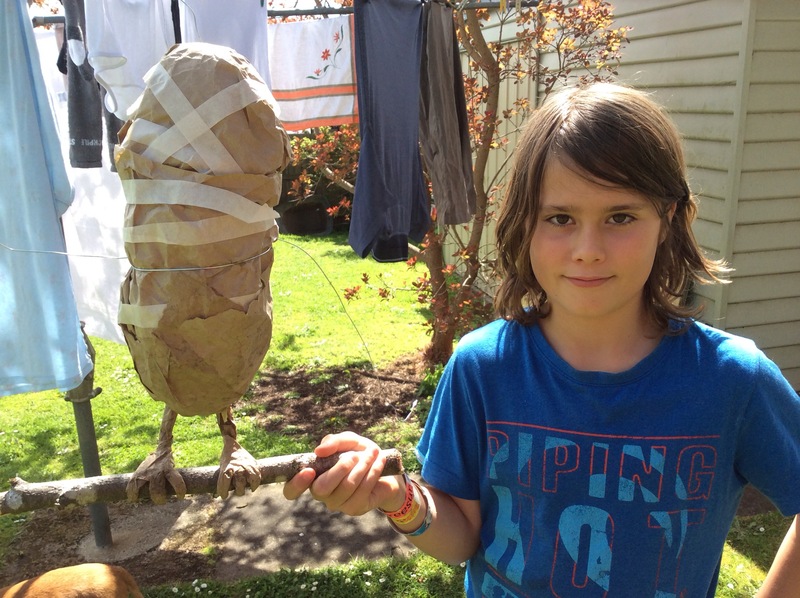 My apprentice poses with Mr Owl, newly attached to his perch. Arty did one leg, I did the other. The mad professor at work. Thanks to Arthur for many of these photos. As you can see I had sticky fingers! 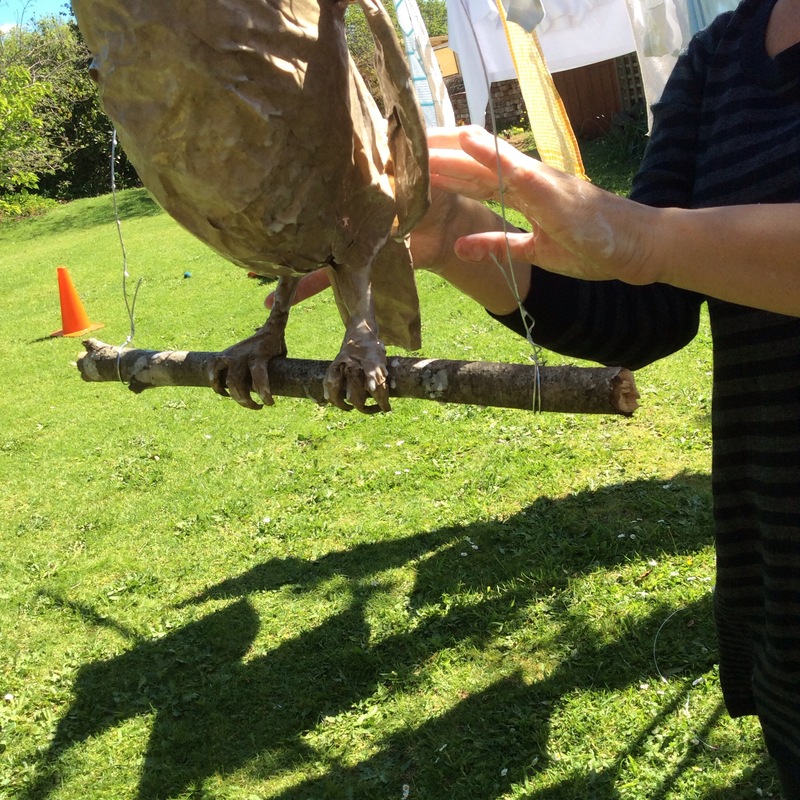 The wings and tail in progress, photo c/o Arty. You see I ran out of wire for the second wing. Not to be too daunted, we carry on. Mr Owl will never be the best flier, which reminds me of the wonderful Sett Owl from Isobelle Carmody’s Little Fur series. 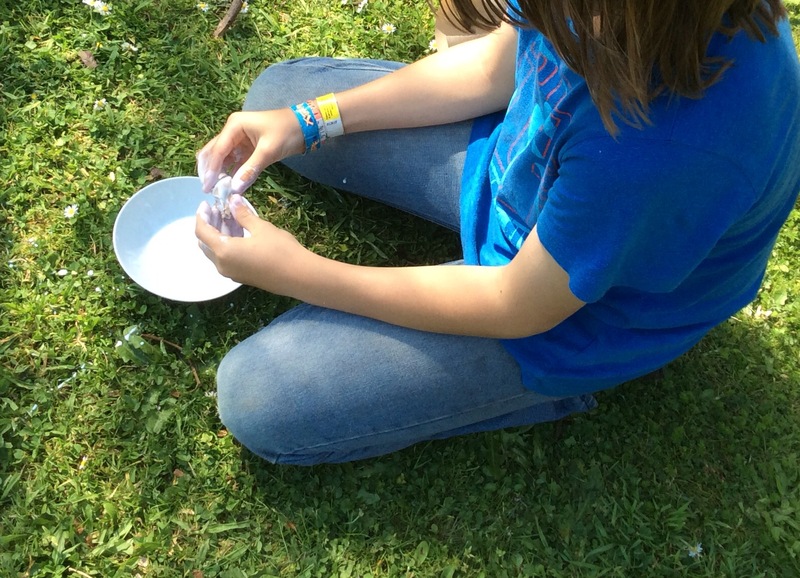 Gluey! Shortly after this, the dog threw up on the lawn next to me. You wanted to know that, didn’t you? 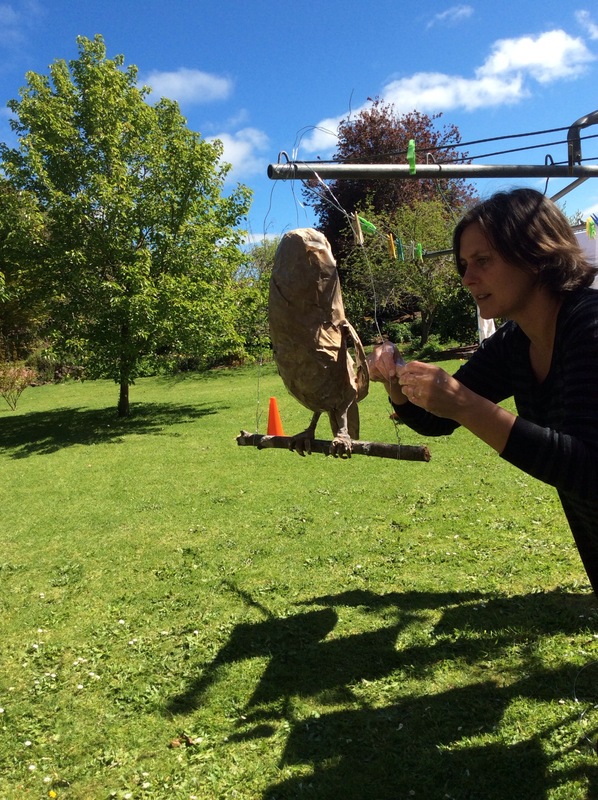 Arty is working on making several beaks for us to choose from, when the moment arrives for Mr Owl’s face! I hope you are enjoying all these photos of the washing (sorry Nanna Gail). Where would we Australian’s be without the marvellous ‘Hills Hoist’ clothes line? And now we leave him to drip dry for a while. Tomorrow he needs to be fit to travel to Melbourne in the car. And now it’s back to work on Thunderstorm Dancing cover options in Nanna Gail’s sunny studio. 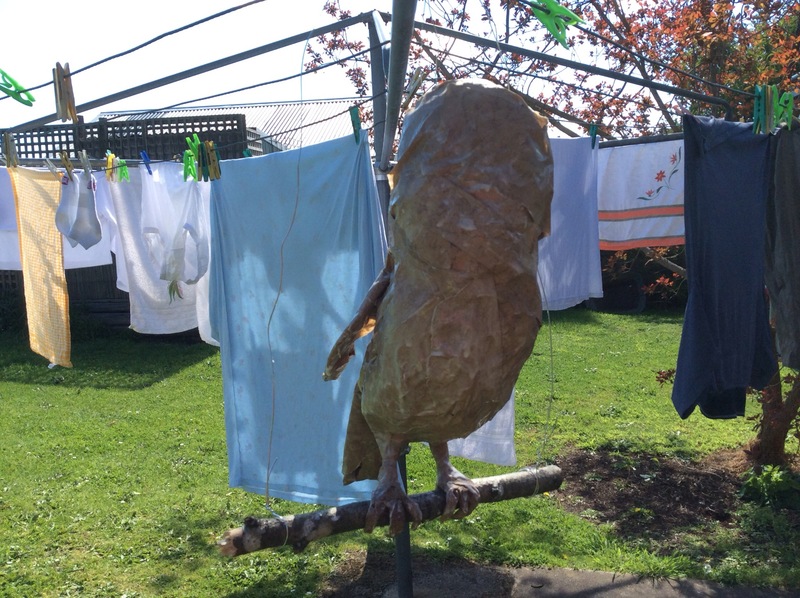 This entry was posted in art and craft with kids, birds, creative process, family, Uncategorized and tagged clothes line, craft, harry potter, hedwig, Hills Hoist, holiday activity, improvisation, kids, owl, papier mâché, rotary clothes line, washing, wire sculpture on October 3, 2014 by Judy Watson.